Whether you want to share a video you uploaded to YouTube or one that someone else uploaded, you can create a link to a specific point in that video. Most people don't realize this is possible. It's easy to add a time stamp to the end of the video's URL, something you can do manually or automatically. Then, when the link is clicked and the video opens on YouTube, it starts at the specific time you choose. To add a timestamp manually, open the YouTube video in your browser. Locate the URL for this video in your browser's address bar. This is the URL that shows near the top of the browser window when you're watching a video on YouTube. The format you use to specify a start time in a YouTube video is t=1m30s, either with or without an ampersand. You precede the t= with an ampersand (&) whenever the URL contains a question mark (? ), which is the case with most non-shortened YouTube URLs that you copy from the browser address bar. The first part, t=, is a query string that identifies the data after it as a time stamp. The second part, the actual data, is the minute and the second mark you're after, so 1m30s is one minute and 30 seconds into the video. When you want to link to a specific place in a YouTube video, instead of asking people to scroll forward to a particular time, you can instead link directly to the desired location in the video by adding this information to the end of the URL. For example, in this YouTube video, https://www.youtube.com/watch?v=5qA2s_Vh0uE (the trailer to the classic flick The Goonies), adding &t=0m38s to the end of the URL causes it to start 38 seconds into the video whenever anyone uses that link. You can try it here: https://www.youtube.com/watch?v=5qA2s_Vh0uE&t=0m38s. This time stamp works on desktop and mobile browsers. Use whole numbers with no initial zeros in the time stamp – 3m, not 03. You can also add a time stamp using YouTube's sharing options. Go to YouTube in your browser. Open the video you want to share and play it or move through the timeline until you reach the exact moment you want to use in the time stamp. Click the Share button to open the sharing pop-up. Underneath the URL in the Share a link section, click the small box in front of Start at to place a check mark. This action automatically adds the time stamp to the shortened URL. Copy the updated shortened URL with the time stamp appended. Share this new URL, and anyone who clicks it sees the video beginning at the time stamp you specified. For example, in The Goonies video from the previous example, the URL might look like this: https://youtu.be/5qA2s_Vh0uE?t=38s. This time, the t= is preceded by a question mark (?) and not an ampersand (&). A URL's first query string should always begin with a question mark, and since this shortened URL doesn't already have a question mark, it is added instead of the ampersand this time. Are the Video Owner? Crop It Instead! 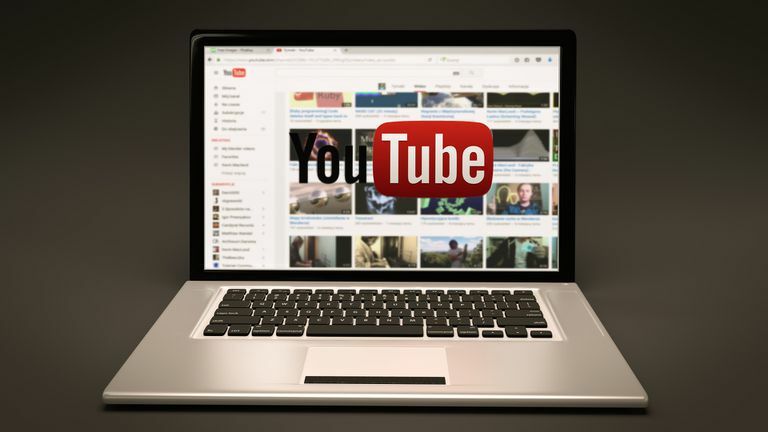 If you own the video in question – you have the rights, and it is hosted on your YouTube channel – you have the option of editing the video inside YouTube and presenting a version that contains only the part of the video you want to show. You do this via YouTube's built-in editing tools, which you use to crop the video.